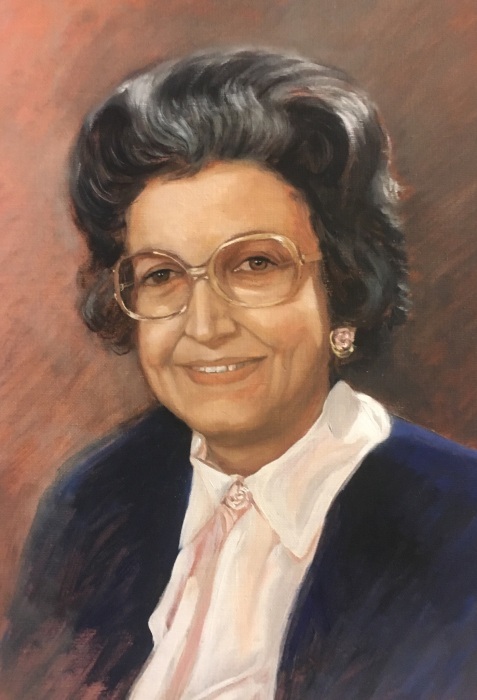 Mary Girgis-Hanna, age 83, went to be with the Lord on February 7, 2019. She was born to Dr. Fahim Girgis and Emily Boktor on March 6, 1935, in Assiut, Egypt. She received her B.A. (1958), and M.A. (1978) from the American University in Cairo (AUC), Egypt. She also received her Ph.D. degree in Special Education from the University of Toledo (UT) in 1995. Mary’s entire life was dedicated to taking care of her family and serving the Lord. While providing the best care for her youngest son, Wagih, she managed to continue to further her education, work in her areas of passion, and serve Christ in an exemplary capacity. Her accomplishments included teaching social sciences at Port Said High School, Cairo, in the 1960’s, building a geriatric center for the Presbyterian Church in Cairo in the 1980’s, teaching a variety of sociology courses at UT in the 1990’s, and teaching piano to hundreds of students for over 50 years, both in Cairo and Toledo. Additionally, Mary oversaw the youth group in her local church in Cairo during the 1970’s, was ordained as the first woman elder in the Presbyterian church in Egypt, and served as the president of the Women International Day of Prayer. Mary loved her Lord and Savior Jesus Christ and often held Bible studies and prayer meetings at her home. For more than two decades, Mary hosted a Sunday School ministry for people with special needs, both at local churches and, toward the end of her life, at her own home. Mary was preceded in passing on to the better life by her husband of 60 years, Fadel Hanna. Her memory will survive in the hearts of her loving children, Baher Hanna (Wafaa), Farid Fadel Hanna (Mona), and Wagih Hanna. She will also be remembered by her grandchildren, Daniel, Julie, and Megan Hanna, Dalia and Lily Farid; her brothers Tawfik Girgis (Dorothy), Farouk Girgis (Marge); sisters Aida Antoun-Saif (Philip), Suzy Antoun; and sisters-in-law Niemat Girgis and Mervat Akhnoukh. Friends and family may visit at Emmanuel Baptist Church at 4207 W. Laskey Rd., Toledo, Ohio, from 11 AM to 12 Noon, Tuesday, February 12, 2019, to be followed by the funeral service at 12, which will be officiated by Pastor Duke Crawford. Condolences may be sent to the family at reebfuneralhome@bex.net.